On Tuesday, 20th March 2012, Erdem Moralioğlu, more commonly known as just Erdem, took the opportunity to speak to the general public at his old university, Royal College of Art. The talk was part of the Fashion Fringe Road Show, a large group of events held at various universities across the country where designers go back to their places of study and talk to students and the public about their career. 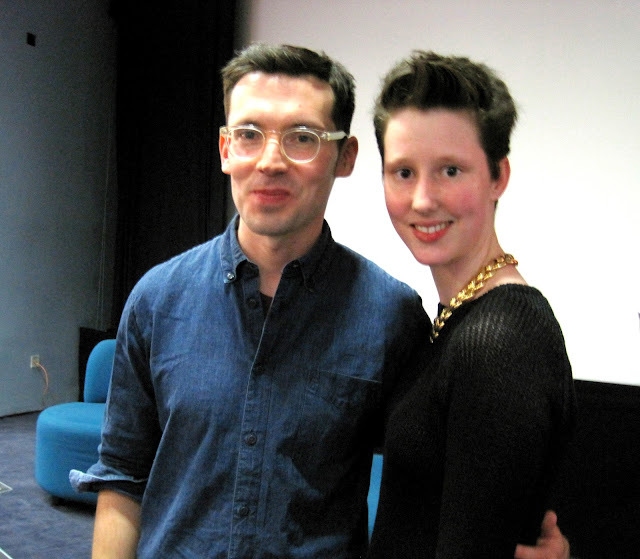 Erdem's talk was the last in the series of talks with previous ones held by Matthew Williamson in Manchester, Gareth Pugh in Northumbria, Giles Deacon in Nottingham and Julien Macdonald in Brighton. 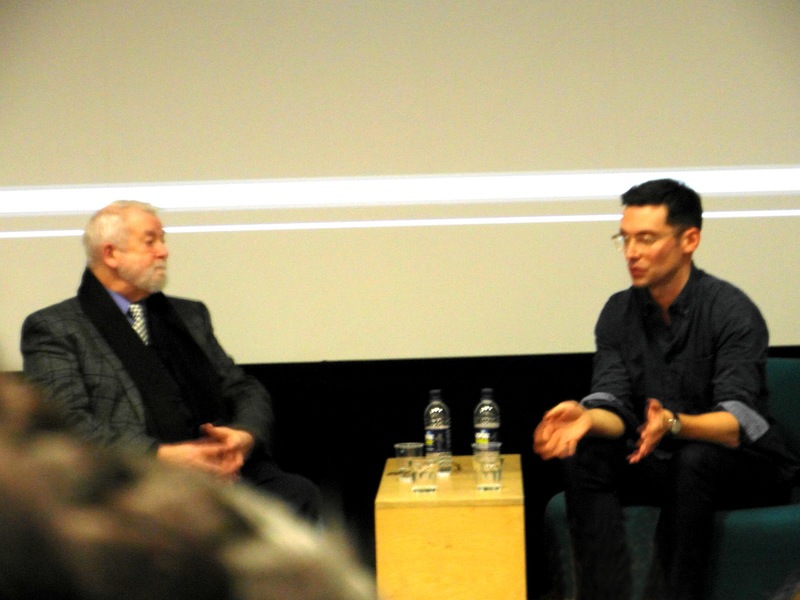 The event itself was held in a small lecture theatre making the whole experience feel very intimate and exclusive, as if the talk was a conversation between Erdem and a close friend. 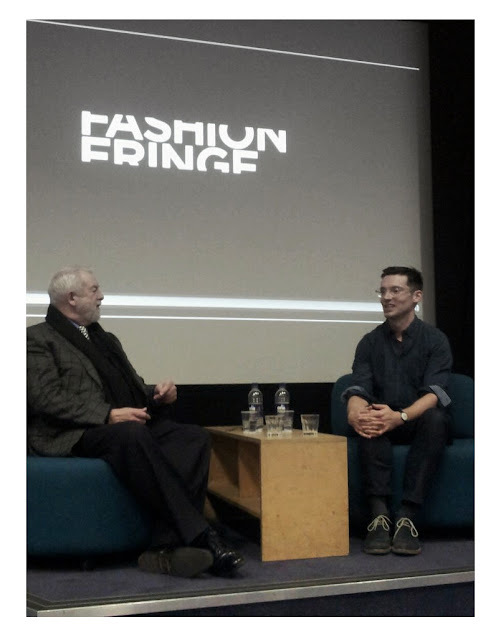 The talk began with an introduction from Fashion Fringe director, Colin McDowell, who was hosting the evening. His humorous wit, combined with his analytical approach to questioning propelled the talk forwards allowing the audience to discover hidden stories and anecdotes about the world famous design house. Erdem doesn't take things slowly when it comes to his label. After graduating for the Royal College of Art he moved to New York where he completed an internship as a design assistant with Diane von Furstenberg. Although he didn't realise at the time, this internship marked a pivotal moment in his career as it gave him the necessary courage to return back to England and within a year after graduating, he had become a professional designer with a self titled label. Since he won the Fashion Fringe Award in September 2005, his label has reached dizzying heights of success with women such as Michelle Obama and Samantha Cameron choosing to wear one of his dresses. "I love how women of all ages can find beauty in my clothes" stated Erdem. "Michelle Obama wore one of my dresses five years ago and I am still associated with it and that's wonderful." Despite international acclaim and a loyal following on both sides of the Atlantic Ocean, an Erdem / High Street collaboration will not be on the cards in the near future. "I think they are a great thing and can really work for some brands but it has never been the right moment for me" Luckily for us, Erdem is already focussing on future collections and is determined to build a future in London for himself and the label. Knowing what you know now, what advice would you give to your younger self? "I'd say that everything is going to be ok! I'm a real worrier but everything always ends up being ok."
Wow, this looks absolutely amazing! It's so cool that you got to meet the brains behind this brand :) There's a new post up on my blog and I'd love to hear what you think of it, so feel free to stop by!